The battle for the October box office record may be up for grabs this weekend, pitting a film about an astronaut lost in space against a film about an astronaut lost in space. 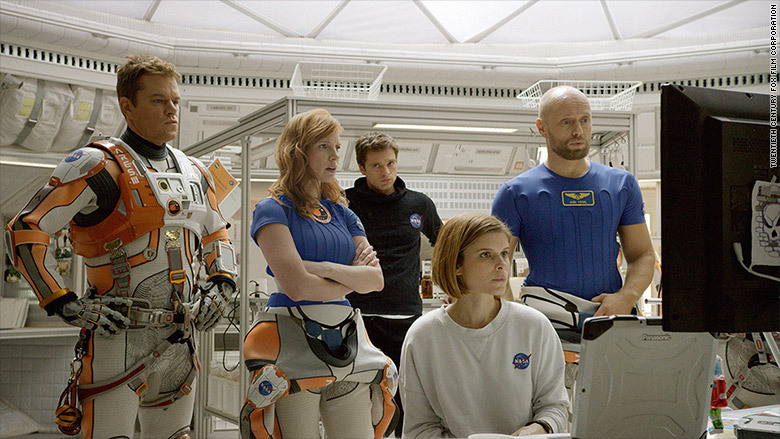 20th Century Fox's "The Martian" launched in theaters on Thursday night with a solid $2.5 million in preview showings. 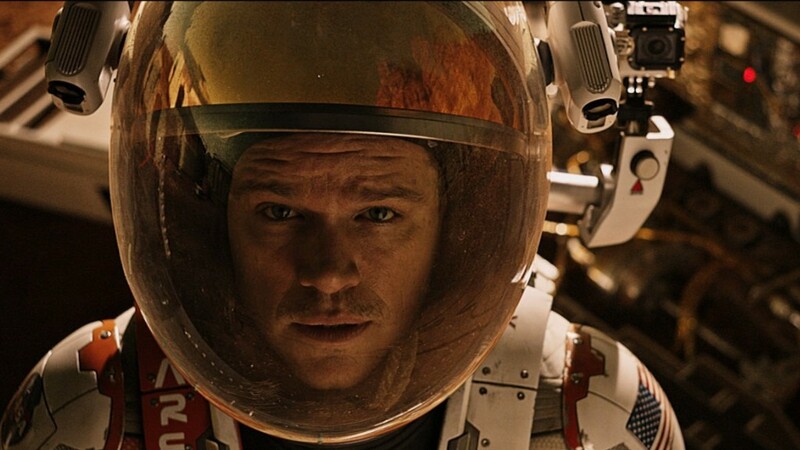 The film starring Matt Damon as a NASA astronaut stuck on Mars hopes to take off to possibly even larger numbers this weekend with analysts projecting an opening of roughly $50 million. If the space thriller makes more than $55 million it will become the largest October opening in history, overtaking another space thriller, 2013's "Gravity." The $108 million film, which is opening at 3,826 theaters, has a good shot for many reasons, first being that it has immense buzz from positive word of mouth. "'The Martian' is seeing a lot of love via social media and like 'Straight Outta Compton' and 'Mission: Impossible - Rogue Nation' that's helping it to over-perform in projections," said Paul Dergarabedian, senior media analyst at Rentrak (RENT). 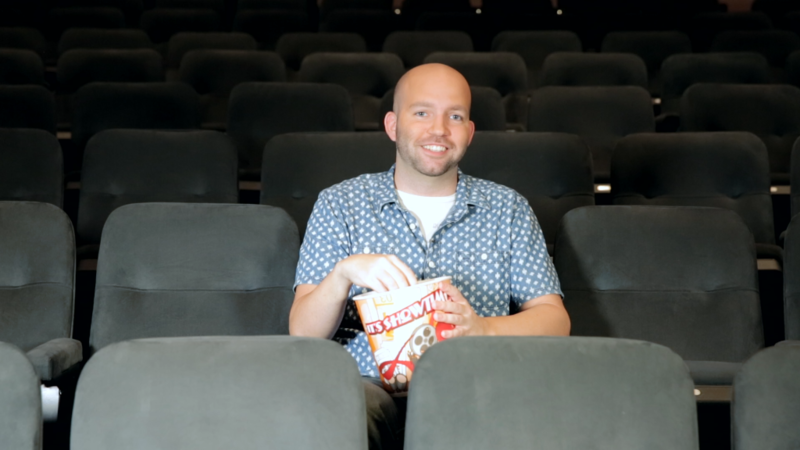 "It's also really riding the wave of a great box office year. It's all about buzz, and I'm not talking about Buzz Aldrin." It helps that the film it has a star like Damon. "You need a star like Damon to anchor a movie like this," said Phil Contrino, chief analyst at BoxOffice.com. "There's a trust there that he's earned over the years and a familiarity that's vital for this kind of movie." Contrino compared Damon's performance -- for much of the movie he is alone -- to Tom Hanks in "Castaway" and Sandra Bullock in "Gravity." "Without those stars, the movies don't work," he said. The film, which currently holds a 93% score on review site RottenTomatoes.com, may have also seen a boost thanks to real life Mars news when NASA reported earlier this week that it found water on the red planet. "'Thanks to the big news this week, 'The Martian' became relevant and topical aside from being just a must see movie," Dergarabedian said. "If you're a marketer at Fox, you could not have dreamed up a better scenario." The film starring Matt Damon could bring in galactic October numbers this weekend.